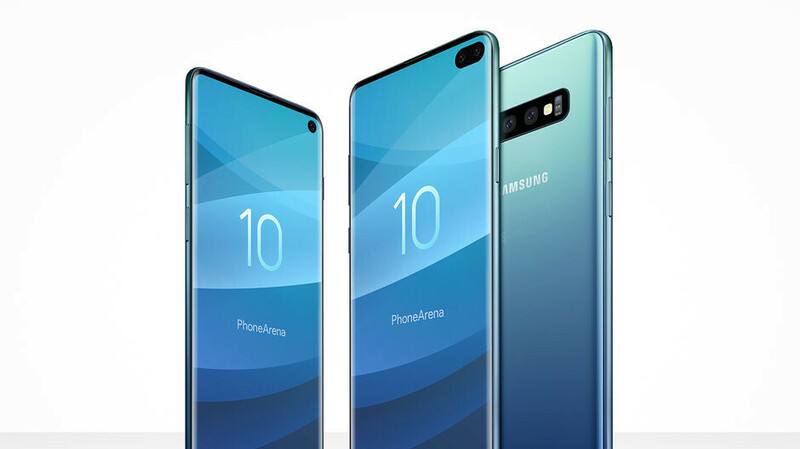 While we may already know pretty much everything there is to know about Samsung’s three “main” Galaxy S10 variants, it remains unclear whether or not a fourth next-gen flagship model is also in the works. A somewhat hit-and-miss Twitter leaker seems pretty convinced the 6.4-inch Galaxy S10+ will not be the family’s “top version”, claiming Samsung’s first 5G mobile device sports an even larger 6.7-inch screen. Ice Universe appears to suggest he has somehow gained access to legit imagery starring this mysterious “Beyond X” product, describing its 5G logo as “very cool.” Or perhaps he’s seen the beast in the flesh already, although that feels highly unlikely. Either way, the purported inside information he can share right now calls for both front and rear-mounted ToF sensors. Short for time of flight, that’s a groundbreaking 3D-sensing technology eclipsing Apple’s TrueDepth camera system in complexity. Apart from faster, more reliable, and accurate facial recognition, these sensors could enable augmented reality experiences on the “Beyond X” that no other phone in the world is capable of right now. That would confirm previous gossip of a quad-camera setup sitting on the back of a top-shelf Galaxy S10 variant, with either two or three front-facing shooters in tow as well. Unfortunately, another existing rumor today’s tweet reiterates is the limited availability of this 5G-enabled Galaxy S10. But maybe South Korea and the US will simply get it first, followed by other markets later in 2019. Meanwhile, pricing remains under wraps, which might be for the best. You wouldn’t want to have a heart attack right before Christmas, would you? We can stop with the screen size increases ANY time now. I think a 6 inch 18:9 almost bezeless phone is the perfect size. No 7.5" is the perfect size. My XS Max with a slim case feels like a 5" phone. The X's feels good in the hand. Haven't tried the XR. But 5.8-6.1" is the sweet spot for sure. Considering how last years galaxy s phones had bad battery and this years ones still won't have a 7nm processor and will also be smaller I think Samsung should surely remove the headphone jack from the s10 lite at least in favor of a bigger battery, if anyone wants a headphone jack they should get the s10 or s10+. That's just my opinion. I didn't run into any bad battery life on my Note 8. It was actually quite good. And, not that I'd get the lie version, but no to removing the jack. F the headphone jack, its about time it dies, the note 10 won't have it, and also the s9 and s9+ don't have a good battery life, the s10 won't have a 7nm chip and will be smaller, having good battery life is more important than having a headphone jack, the s10 lite is as small as the s6 while having a display larger by 0.7 inches, they need to be able to make room for more battery in it so hopefully it won't have a heasphone jack, otherwise I am gonna just buy an another phone, there's no way I'm buying a 2019 flagship that doesn't have good battery life. I mean it having the inferior 8nm exynos processor is a big downside too, so that along with not having good battery life makes it not worth it for me. What are you smoking. The S10 is coming with the Qualcomm 7 nm chip. You must not be in the US. The US will get the 7nm chip. Where are you getting your sources from. SMH and long live the headphone jack. If you don't want one go buy a Apple product. Oh my S9 Plus gets decent battery life. Not the best but it's not bad. Far from it. Only the us gets it, the rest of the world gets exynos. This pretty much confirms Note 10 partial specs: 6.7" display, same imaging setup. For me, Note 10 it is. Display size is highly important for me, bigger = better. If Samsung is really going to bring out a 6.7" or lager screen phone then please make it a real Phablet and give it a 16:9 ratio screen and include a pen. Leave the 18:9 ratio screens for those who want a more compact phone. They need these type of sizes to appeal to the chinese market, there is the market, bigger than us and europe combined. You are partially right. Samsung is going where the market is shifting. Standard is standard. 18:9 is standard and not even anymore, phones are shifting towards 21:9 aspect ratio. The benefits are easier to hold in horizontal mode, more space for side screen buttons, and the increased screen to body ratios that won't make the devices taller, only the screen taller. Its makes the most sense to increase the display height and shorten its width.